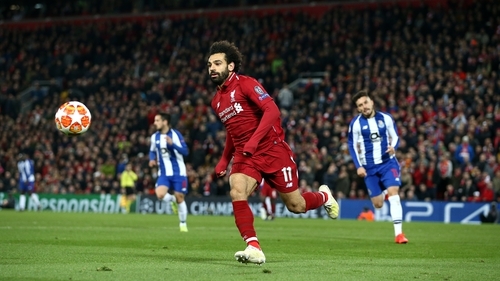 The video, which has been widely shared on social media, showed the group singing "Salah is a bomber" apparently in reference to Liverpool forward Mohamed Salah. "It's not on the terraces, but it's still a disgrace. We don't want fans like that anywhere near our game," Kick It Out tweeted. "We will be liaising with @ChelseaFC to ensure those involved are identified and punished swiftly and effectively. #KickItOut"
The Blues' first-leg quarter-final Europa League tie against Slavia Prague takes place in the Czech Republic. Liverpool also released a statement on their website, which read: "The video circulating online, showing vile discriminatory chants being aimed at one of our players, is dangerous and disturbing. "This behaviour needs to be called out for what it is - unadulterated bigotry."